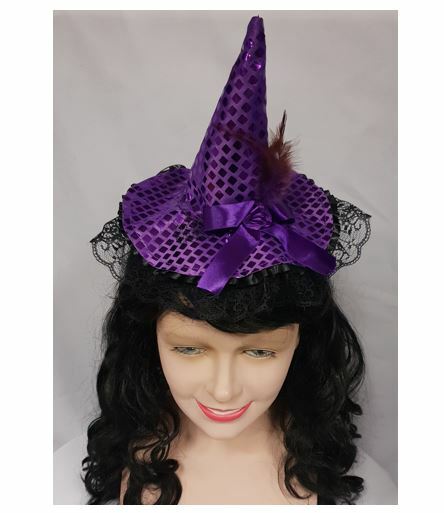 Beautiful purple sequin witch hat with lace trim on black fabric covered headband. On the front of the hat is a ribbon bow & rose with a purple feather. Very elegant and oh so cute, even for a child.